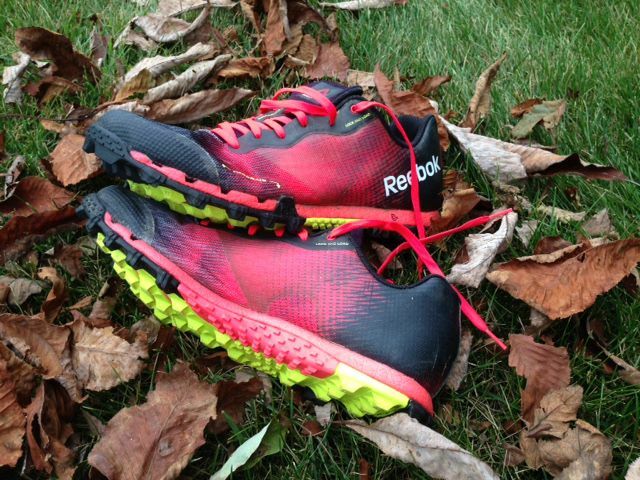 After training in them for a few weeks, my first racing action in the new Reebok All Terrain Super 2.0 was the Cincinnati Battlefrog – what some are calling the most difficult regular season obstacle race of 2015. Aside from that one instance during the jerrycan carry in which I buried my legs calf deep in shoe-sucking mud, I didn’t give my shoes a single thought. I didn’t think about traction. I didn’t think about mud or water making them heavy. I didn’t think about my feet sliding around on the slanted, side-hill trails. I didn’t worry about my shoes at all, and in hindsight that tells the whole story. It’s a good sign when the only things on your mind are running and obstacles. Although I was an unabashed fan of the original Supers, the shoe received some criticism from others because of either a) durability and/or b) sediment in the shoes. I experienced neither of those issues and am still wearing the original Supers over a year later. I can not tell you that version 2 will be more durable than version 1. Sometimes foot size and running gait dictate shoe needs with different specs for individuals. The new shoes seem to be a little sturdier, but I am not the one to make that call. I have never had shoe durability issues, even with models that are notorious for coming apart at the seams. If/when I do have a durability issue then there’s a good probability that quality is lacking Regarding detriment, I just cleaned my shoes and only found minimal amounts of sand, despite a significant amount of running through creeks. Like the previous version, Super 2.0 grips like a mad monkey and drains like a…….Well, I can’t think of a good metaphor, but they drain incredibly well. I would not want to wear them around all day long, but for a few hours on an OCR course they get the job done. If you found this page because you are trying to figure out which obstacle racing shoe to wear, then let me help you. I’ve worn various models of Reeboks, Salomons, Inov-8s, and Icebugs and they have all been more than sufficient at getting me through the course. All of them possess the traction necessary to move you along muddy trails and hills, but they vary in weight, durability, support, and drainage. The CliffsNotes version is that Salomons and Icebugs are built sturdier and have a measure of support. The Inov-8s and Reeboks are more minimalist in nature, and may not last as long, but they tend to be lighter and significantly better at expelling water and mud. With regard to the colors of my Supers…..I didn’t pick them! That color style is simply what they sent me, which brings me to the disclaimer that Reebok provided these shoes for me to review. I received no compensation, nor was there a stated or implied requirement of a positive review. For more OCR-related gear reviews, race reviews, and musings you can follow OnMyWayToSparta on Facebook, Twitter, or even Instagram. Next Can I finish the 2015 Barkley Fall Classic?